When it comes to social media, it’s a mobile world. It’s a long time since social media resided primarily in our browser or in applications on our desktop. Today, our social media connections are rarely farther away than the device we carry in the palm of our hands – our cell phones. RIM – Research in Motion – is the Canadian standard bearer in the mobile device wars and Canada’s leading technology hope. As social media has evolved and as apps have moved onto mobile devices, RIM has been challenged to evolve its own approach. And we’re seeing it do this. Earlier this year, RIM introduced a new operating system with embedded social features along with the Torch, a new generation of BlackBerry that combines a large touchscreen display with a slide out keyboard. In the new year, we’ll see the Playbook, RIM’s tablet offering. As RIM evolves its platform, it’s also using social media to reach out to its users and engage with them in online community and social media. Michelle Kostya is one of the people charting out RIM’s path in social media. 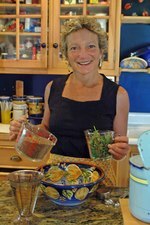 And she’s our next speaker at Third Tuesday. You can register online to join us December 6 at Third Tuesday Ottawa or December 7 at Third Tuesday Toronto to hear Michelle talk about how Research in Motion uses social media and how it views the future of social on its platform. Once again, I’d like to thank our sponsors – CNW Group, Rogers Communications, Radian6, and Fairmont Hotels and Resorts. Your sponsorship makes it possible for us to bring great speakers to Third Tuesdays across the country, including Toronto, Ottawa, Montreal, Calgary and Vancouver. You make third Tuesday a truly Canadian affair. Katie Paine earned her reputation as one of the foremost experts in public relations measurement. So, when social media emerged, it was a natural step for Katie to begin to explore the best ways to measure social media. And she has emerged as a sought after speaker on how to measure the right things in the right way. Social media measurement doesn’t require new standards or new methods, just a new mindset. How the best measurement tools today are some of the oldest. Relationship surveys, content analysis, correlations and statistical analysis have all been around for decades, and we really don’ t need much more than those. What we do need is a new way of looking at measurement – from a functional perspective, not a tactical perspective. It’s not about measuring what you do – those individual campaigns, or tactics, or gimmicks you happen to be using. But rather about measuring why you exist. What’ is your function within the organization, and how are you contributing to the success of your organizations objectives. Each communicator must face the fundamental fork in the road. Are you doing social media for sales? For reputation? For cost avoidance? For crisis management? Once you’ve decided the reason, then measurement becomes quite simple. This sounds like an interesting perspective on measurement. I’m definitely looking forward to attending to hear Katie elaborate on it. And, of course, we’ll keep at least half the time available for Third Tuesday attendees to ask questions and discuss Katie’s ideas. We’ll also have a bonus at this month’s Third Tuesday: a demo of Google Wave. A lot of us have heard about Google Wave, but relatively few of us have had a chance to use it yet. Come and see what all the fuss is about. One other thing is special about this month’s Third Tuesday Ottawa: the time. We’ll be holding the event at 7:30 AM on October 23. We’ve been able to book Katie on her return from speaking at the MeshMarketing conference in Toronto on October 22. And a Friday evening event just didn’t seem like it would work. So, for this one time only, we’re making Third Tuesday Ottawa a Social Media Breakfast (Hat tip to @bryanperson and the real SMB Ottawa organizers, @sylc, @ryanAnderson and @roblane). 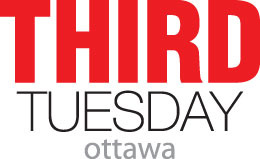 If you’re interested in attending, you can register online for this month’s Third Tuesday Ottawa. Of course, we wouldn’t be able to book a great speaker like Katie Paine to come to Ottawa without the support of our sponsors: CNW Group, Molson Coors Canada, Rogers Communications, Radian6, and Fairmont Hotels and Resorts. You make it possible to bring smart speakers together with Third Tuesday participants across Canada.